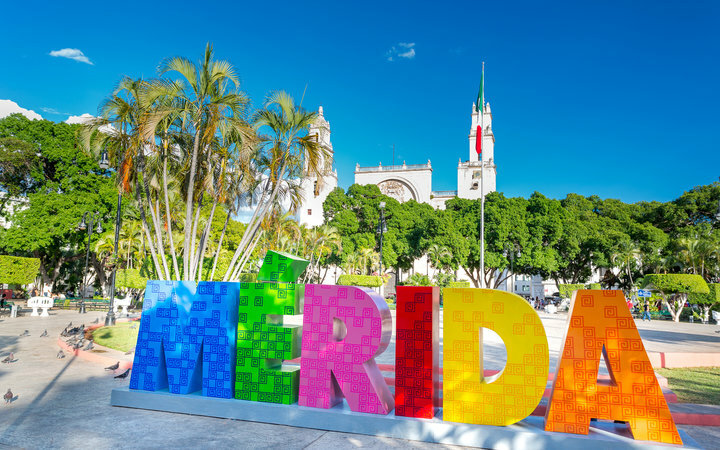 Our newest destination, Merida, is a vibrant and cultural city. Found in Mexico—one of Latin America’s most exciting countries—Merida was voted American Cultural Capital not once, but twice. There’s plenty of opportunity to get stuck into the cultural and clinical opportunities available on a Work the World placement in Mexico! 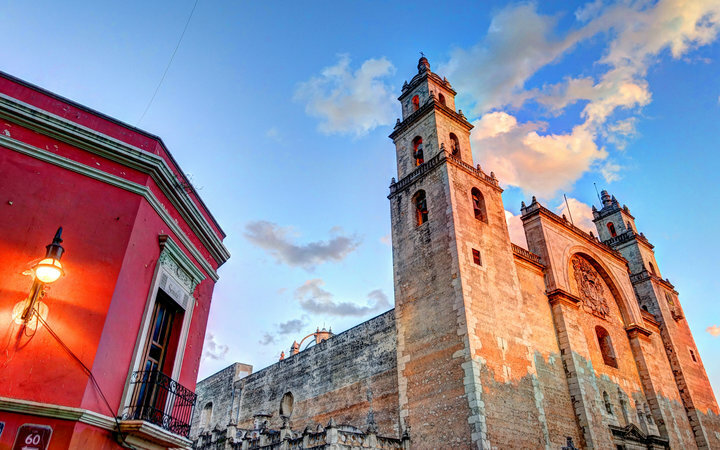 Merida is situated on the Yucatan Peninsula, one of Mexico’s easternmost regions. The area has a strong cultural identity and a resonant history. It’s also known as the safest region in Mexico, offering pleasant weather year-round, and an interesting mix of both modern and historical Mexican charm. Known as “the White City” of Mexico, Merida is friendly and relaxed with a population of half a million. Around town, you’ll see French and Spanish colonial architecture, and a beautiful collection of historic structures and cultural monuments to enjoy. There’s plenty to do around Merida, from having fun at a cultural festival (there are more than 60 festivals hosted in the city every year), to street fairs or shopping. Take a stroll to one of the city’s weekly cultural days, where the centre is pedestrianised so that locals and tourists alike can enjoy markets and attractions, such as Sunday Salsa night or live music at one of the city’s public performance areas. Merida also has a historical district with galleries and museums to explore, as well as great nightlife with plenty of bars and restaurants. Within a short journey from Merida, you can explore ancient ruins, visit water parks, swim with dolphins, relax on the beaches and swim in underwater caves. 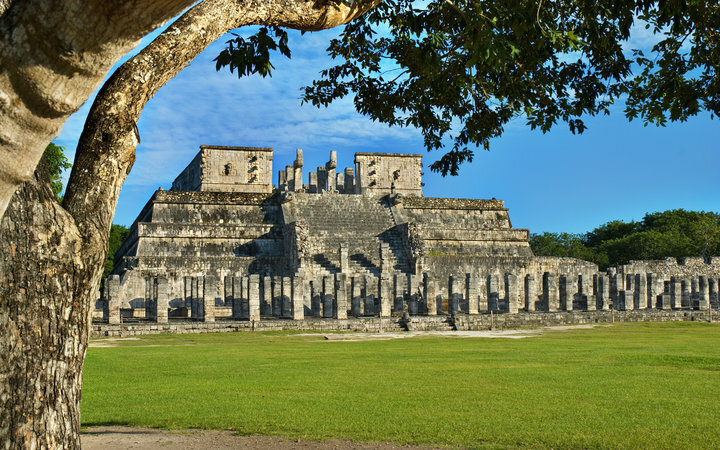 Mexico’s Mayan temple ruins are a must-see; within a two hour drive of Merida, there’s Chichen Itza, Dzibilchaltún, Mayapan, Uxmal, or Izamal. Visiting these well-preserved ruins will make the perfect weekend trip. If you want to visit the beach, Progreso—a resort destination with restaurants and bars to enjoy—is near enough the Work the World house that you can pop there in the afternoon after placement. Further afield is Mexico’s number one party destination, Cancun. The region has diverse nightlife, luxury beach resorts and activities like zip-lining and scuba diving for the adventurous. 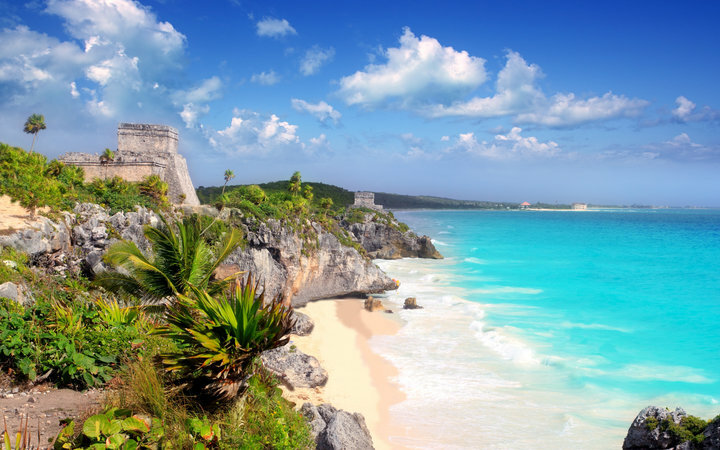 Tulum is another must-see spot with stunning ruins alonside a beautiful beach. For those preferring a slightly slower pace there’s Celestun Biosphere. This vast nature reserve is a perfect ‘getaway’ weekend for nature lovers, and only a short distance from Merida (with buses leaving hourly). Here, you can admire flamingos wading through that unusually pink water that gives them their colour, explore the mangroves by boat or swim in them, and rent bikes to cycle around a quaint Mexican village nearby. 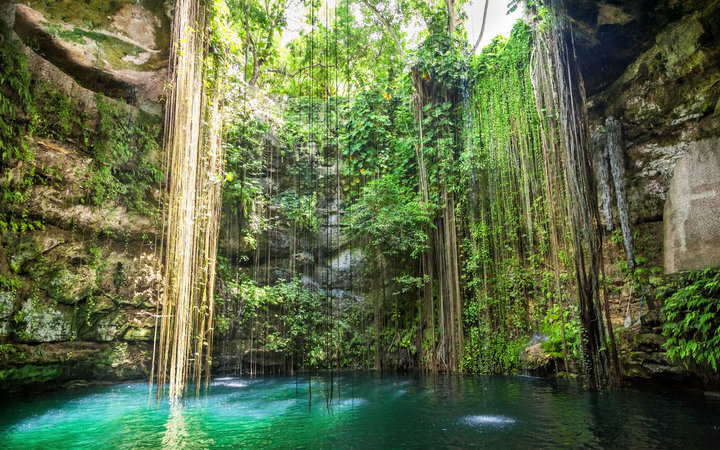 No visit to Merida is complete without a visit to the nearby ‘cenotes’ or underwater caves. Some of these natural spring caves are lined top to bottom stunning stalactites and stalagmites. 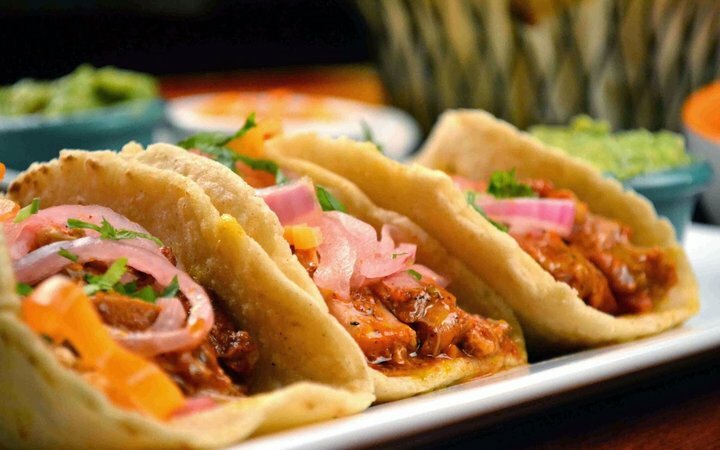 With over 3,000 in this region of Mexico, there are plenty to choose from. You can even swim and scuba dive in them, enjoying the warm water and ancient rock formations. The Work the World house in Merida will be your home-from-home for the duration of your healthcare placement in Mexico. 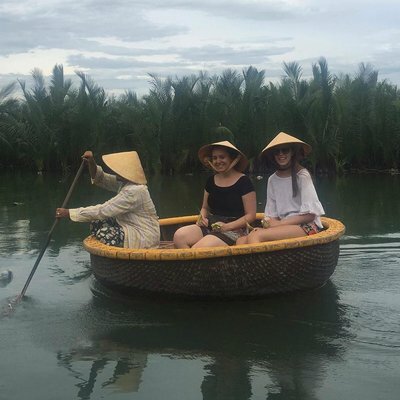 You’ll live with healthcare students and professionals from a range of disciplines and countries, enjoy delicious Mexican food cooked by your in-house chef, and receive specially crafted Spanish lessons twice a week. All Work the World accomodation offers comfortable and social living quarters, plus catering, housekeeping and total support from our team, who are available 24/7. You’ll meet new friends at the weekly BBQ, and get tips local and national travel from our in-country staff. The Merida house is in a trendy suburban area, with easy access to the hospital, and city centre. 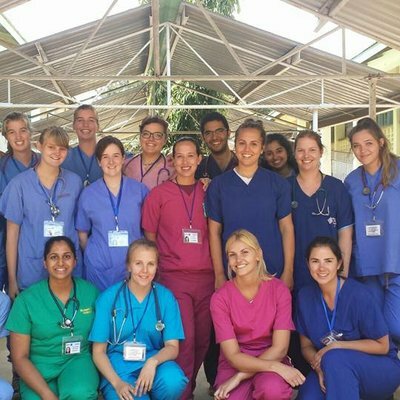 To learn more about our healthcare placement opportunities in Merida, click here.